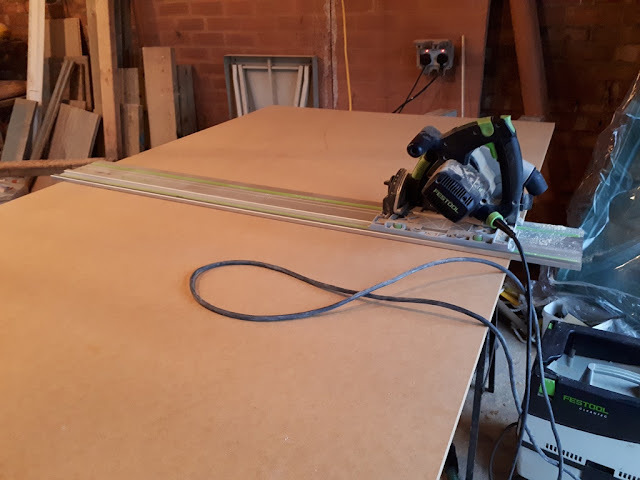 I've had great fun over the last few days on my Facebook Page trying to get people to guess what I was making by showing them the following picture. I had about thirty people guessing until one lady came up with the right answer - a reading nook. 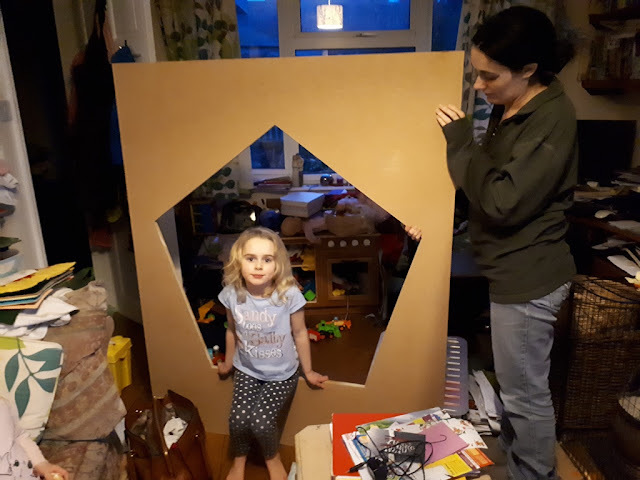 This is a commission I'm building for my daughters new school which they go into in the new year (it's really exciting for them and me!). 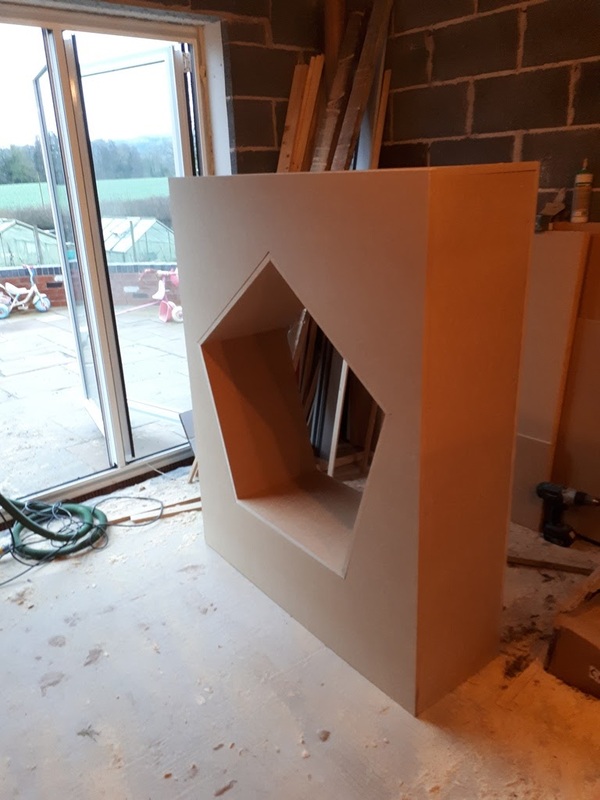 The idea was to have some standard book shelves then some little reading pods for them to curl up into. There's also going to be a tree but I've no idea how I'm going to build that yet! 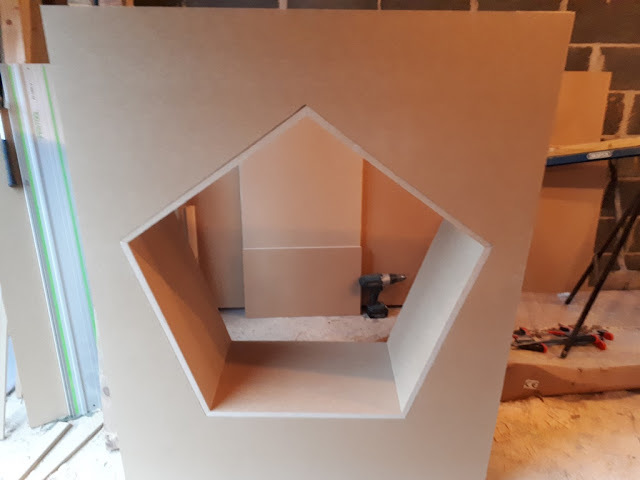 I'm building it out of MDF as it keep cost down (I'm on a very tight budget) but also takes a finish really well if there's no edges. 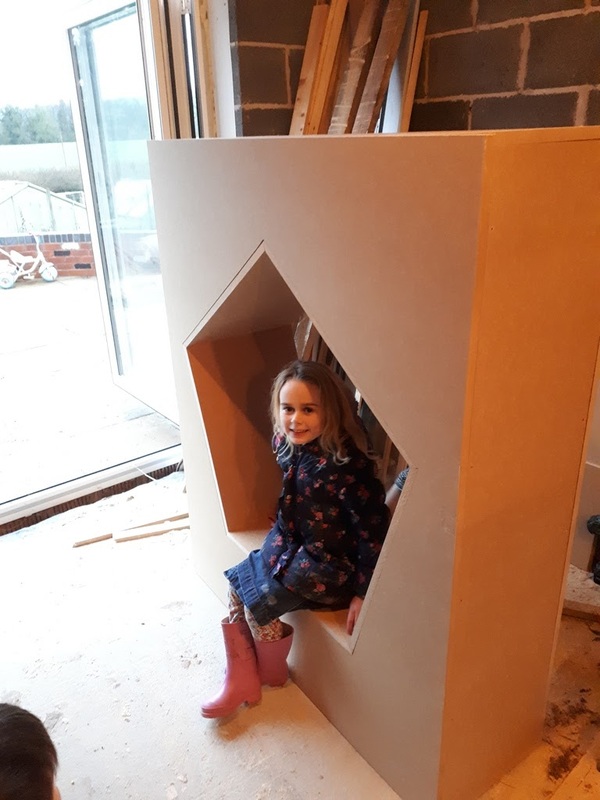 It's not something I've ever built before so it took a bit of thinking about and a few trials using my eldest daughter to test for size! The pictures below show a "dry" assembly, with no glue. 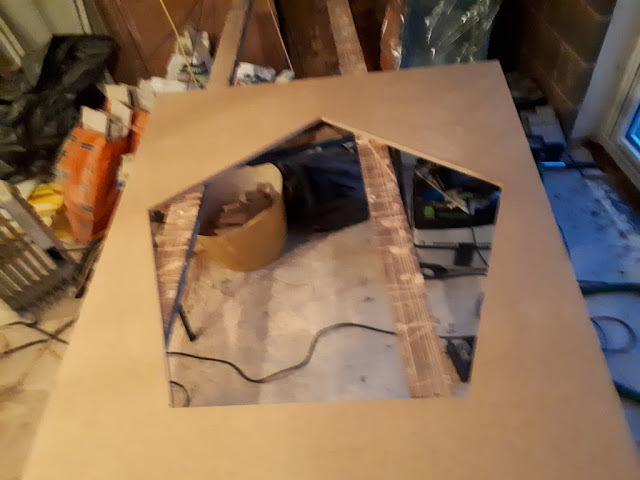 It'll be too heavy for me to move if I assemble it here unfortunately so it'll have to be put together at the school after Christmas. Hopefully this will be the perfect size as well and nice and cosy when there's a few cushions in there! I've built two of these units and I'm really looking forward to getting them in, they're currently on flat packed on the floor of the extension. Some nice colours will really make them stand out as well. I'm hopeful the kids will like them as well! This certainly isn't a job I'm going to make much (or any really) money on but I love the idea of building something for the local school and my children will see them everyday and think "My dad built them!" 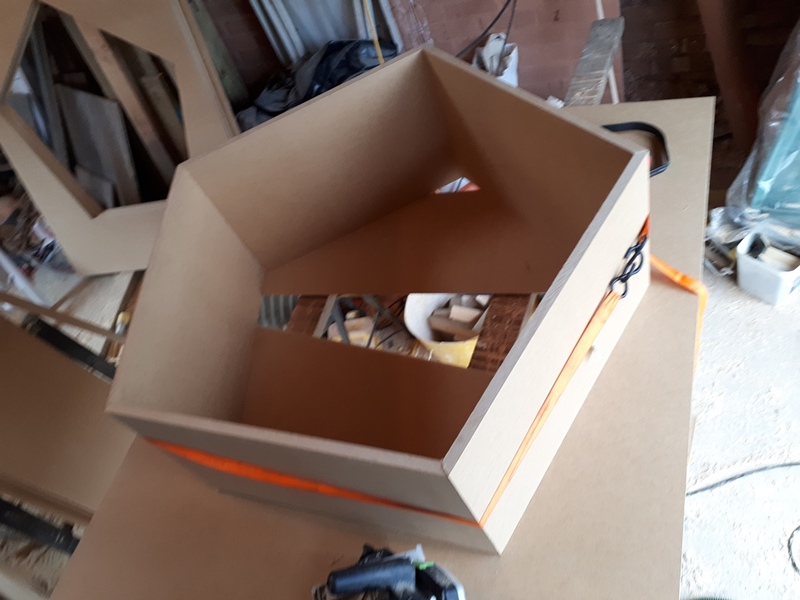 I've got some benches to build and a big tree yet so it could be interesting trying to come up with interesting ideas for those as well!